The Blow Away Vase was designed by Front for Moooi in the Netherlands. Moooi's Blow Away Vase is a delight of concept and execution. 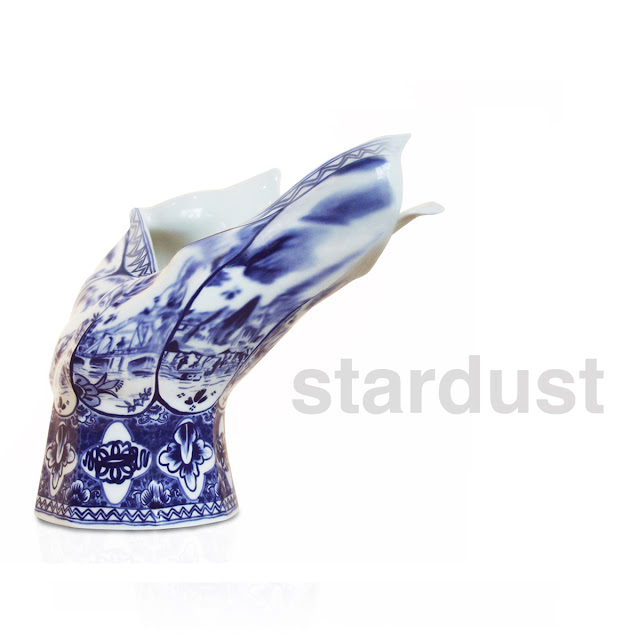 The Moooi Blow Away Vase is a classic Dutch Royal Blue Delft porcelain vase that experienced something truly bizarre; it has been blown away by a powerful gush of wind. The wind motion becomes part of its features and its beauty also lays in the fact that it is bent but not defeated. 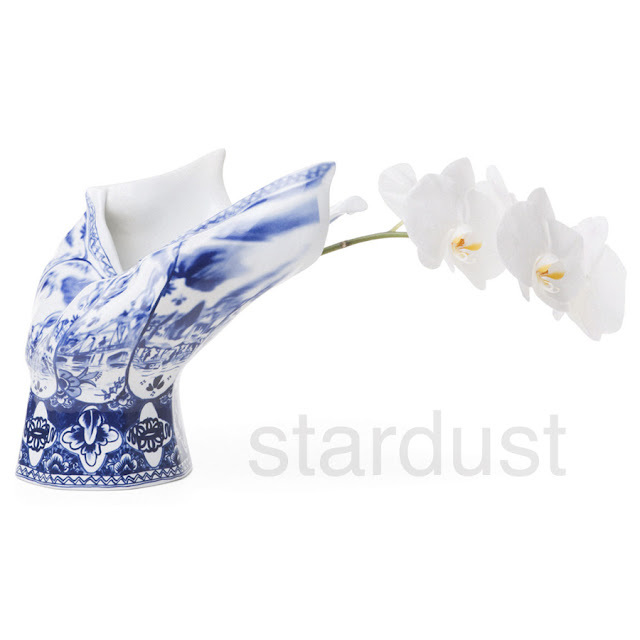 Made of porcelain, the Blow Away vase is handcrafted with illustrations applied by hand, making each vase unique and exceptionally attractive. Manufactured by Moooi.Designed in 2008. A classic Royal Blue Delft porcelain vase that experienced something truly bizarre…it has been blown aside by a powerful gush of wind. The wind motion becomes part of its features & its beauty also lays in the fact that it is bent but not defeated.